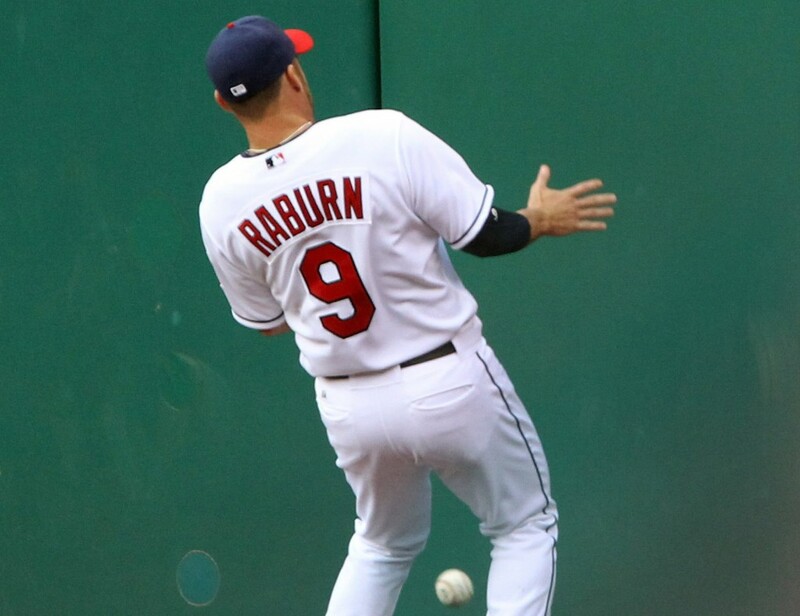 Raburn began these few (now viral) moments with a commendable attempt at a fly ball hit to left hit by Kansas City‘s Mike Moustakas, in the bottom of the eighth. While he didn’t make the catch, he recovered the ball quickly. What happened from there, however, well… Just watch for yourself. Indians pitcher Corey Kluber pitched 6 1/3rd perfect innings during the game, and was visibly dismayed to so soon thereafter see the team trailing 1-0. The Indians eventually tied the score, but Kansas City came back to win 2-1 after 14 innings.